It is NECESSARY to use UV protection product no matter how old are you! The texture of this product is like thick lotion. 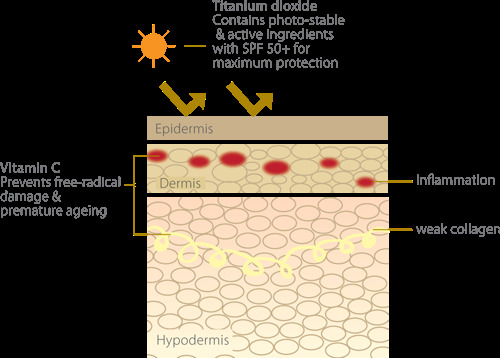 As a SPF 50+ sunscreen product, the texture is considered quite light already. You might find it a bit oily when you first apply on skin, but the cream will be absorbed after some gentle massage and there will be a natural grow on your skin. Apply over skin after moisturising. Massage gently for optimal result. 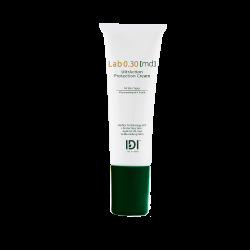 This product is a SPF 50+ Protection Cream, which can effectively blocks out UVA and UVB rays. SPF stands for Sun Protection Factor, which is the protection measurement against UVB (the UV ray that cause sun damage). Every SPF means that you can get 10 minutes* (this factor actually depends on individual/products, normally is 8~20 minutes) UV protection, SPF 50 means you can get 500 minutes* protection! 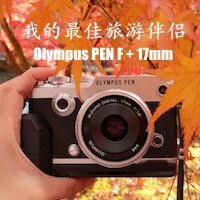 500 minutes = 6 hours+ ——Almost a full day protection! The + behind is PA (Protection UVA) rate which indicates the protection against UVA. 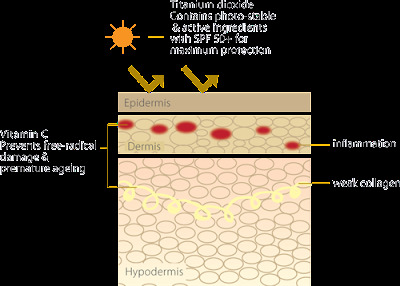 UVA will cause skin premature ageing. I was also told by Juliana that I can actually still apply it at night because if I always sit in front of computer, the screen actually will radiate some UV rays too. Jean you must remember to use makeup remover and cleanse your face every time after you used sunblock okie ?